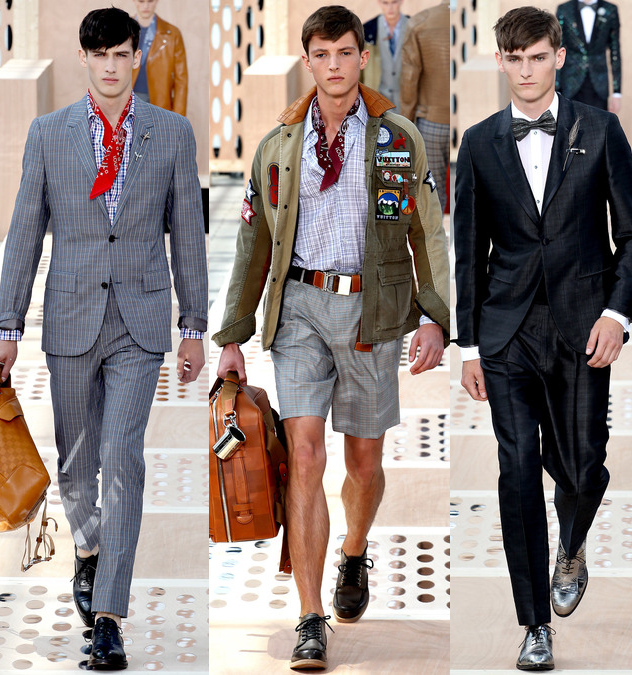 Suits were kept intact to the way a Vuitton man would like them to be; somewhat slim and fitted all together. They only thing modified were his introduction of silver dress shoes young man are sure to emulate now. A final silk (the most expensive silk) LV jacquard suit sent a strong message across: Vuitton has become such a powerful international company in the luxury market, using its logo has an excuse to anything. 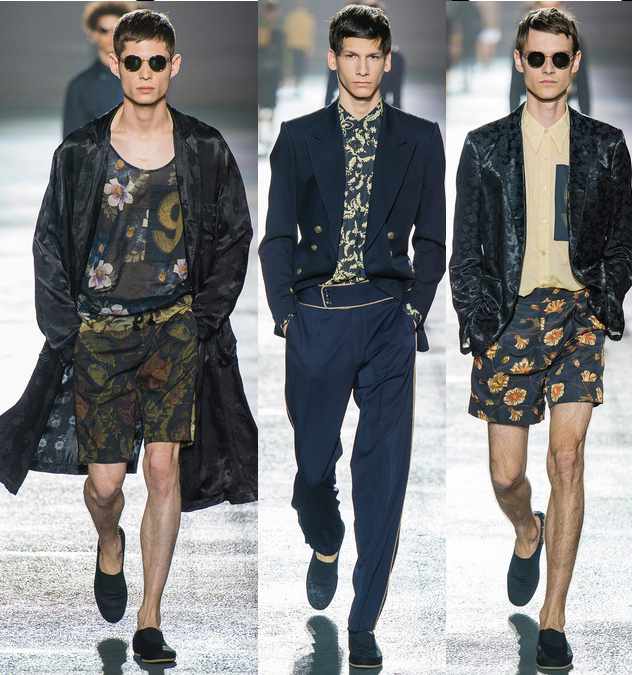 Dries Van Noten has become quite comfortable with his mien insets of color, texture, pattern, and signature tailoring. His spring 2014 men's wear collection felt much more stronger for the Van Noten man specifically in patterns. While most designers are going for more vibrant palettes of floral prints, he being the sort of vintage rebel he infuses in his patterns, began with darker shades of metallic flowers that later turned into intense prints.